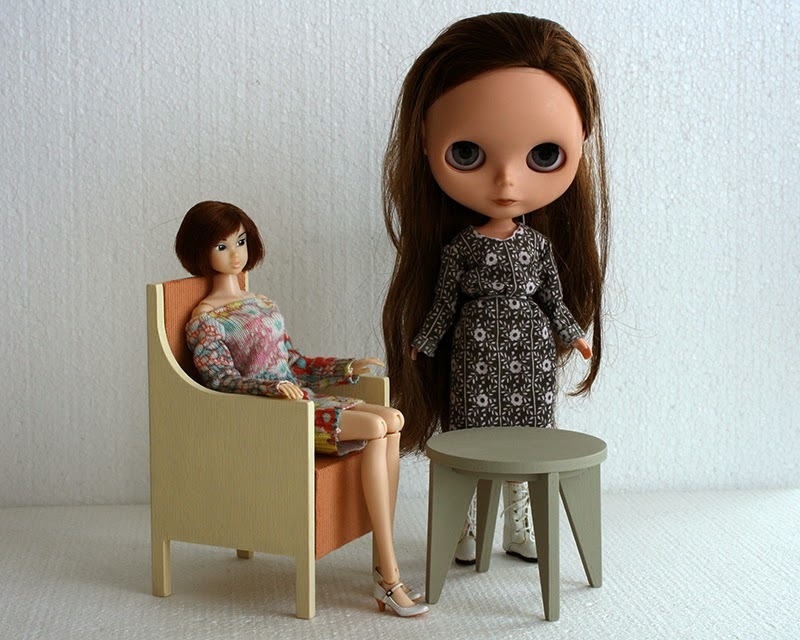 Coffee table for 10-12" dolls. Model 609-01. Height 7,7cm (3 9/16"), diameter 9cm (3 1/2"). Standard painted in warm grey. It can be also used as a nightstand.